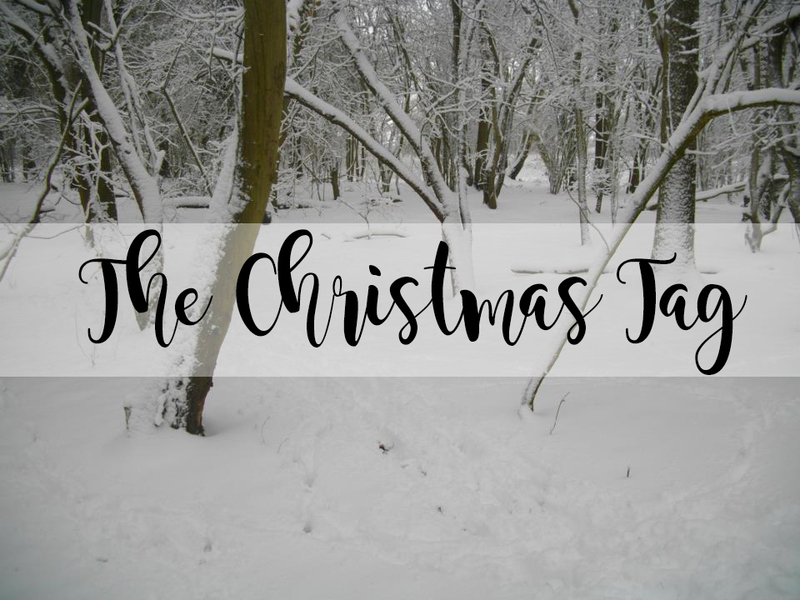 Sooo it's five days until Christmas and eighteen days ago I was tagged to do the Christmas Tag by Courteney and it's taking so long to finally get around to sharing my tag with you! I absolutely love joining in with tags as it's a way of bloggers to get to know each other and for general blog readers to get to know their favourite bloggers. As it's nearly Christmas, what more could you want than to find out our favourite parts about Christmas? right? 1. Whats your favourite Christmas movie? My favourite Christmas movie of all time is 100% Polar Express. I have been watching this film since I was little and I now have to watch it every single year. It's definitely the one film which without fail, I will watch. 2. What are your favourite Christmas colours? Hm favourite Christmas colours; I'd say burgundy, red, white, gold and black. I also really love purple (only on the Christmas tree though). 3. Do you like to stay in your PJ's or dress up for Christmas? I love to stay in my pyjamas up until when we open up our presents and then I get dressed as I help to cook the Christmas Dinner and I do not want my pyjamas stinking like roast dinner! 4. If you could buy only one person a Christmas present this year, who would it be? I would buy my mum a Present, she deserves the world! I open my presents from my Boyfriend on Christmas Eve and the presents from my family on Christmas Day. I have but the gingerbread was far too soft and it just kept collapsing. I love to sit back and relax, and of course bake! As I'm at University I spend up until the second week of December stressing about Essays so it's nice to then relax until Christmas comes around. My Christmas wish is to have my Dad with us for Christmas (and this has come true, he is coming) yayy! Roast dinner, ginger, cinnamon, baking in general and peppermint! Of course, my favourite Christmas meal is a roast dinner; absolutely love it. Could have it everyday. This is such a cute tag, i'll have to do it myself! Also agree with you on your answer of who you would only buy a present for - it'd definitely be my darling mum!